Spruce Tops have arrived! Now is the time to pick up your bundles! 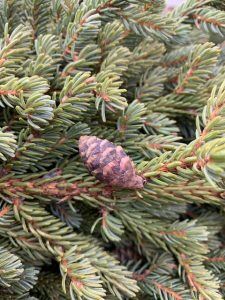 Did you know there are 2 different kinds of spruce tips we offer? American and Canadian tips. The difference between the two are fairy easy to spot. American tips will have softer, thinner needles. Where Canadian tips are shorter and much thicker. 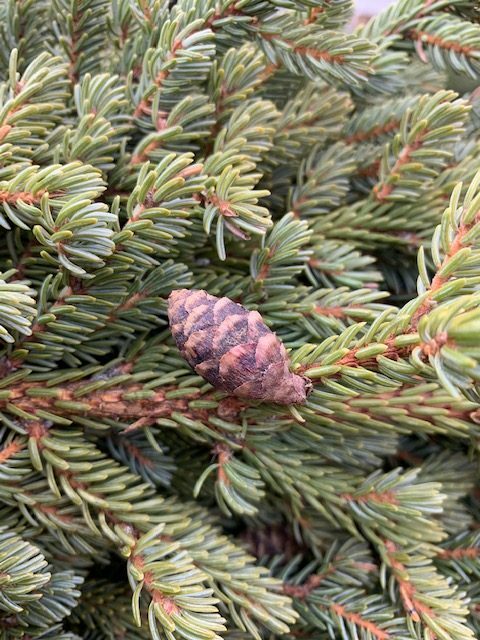 They often come with mini pine cones attached too. 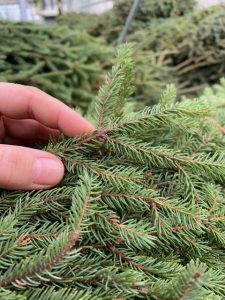 Select accent evergreens have arrived as well. 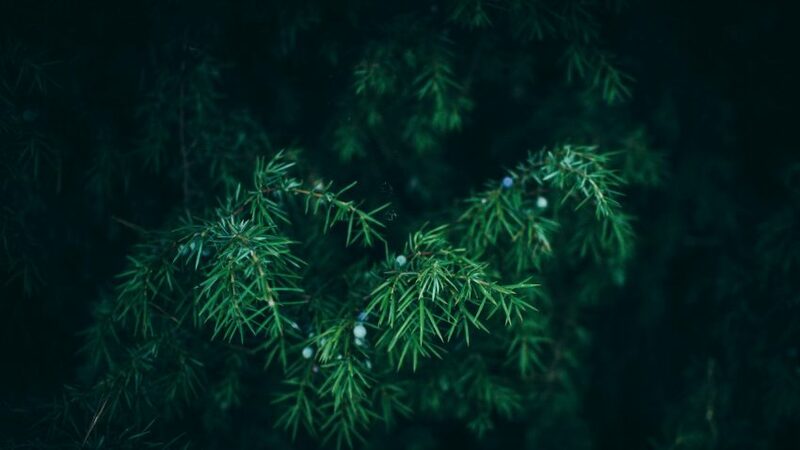 They include: Norway pine, White pine, Magnolia, Stem-dyed Eucalyptus, Green-seeded Eucalyptus, and Blueberry Cedar. The rest of our accent greens are scheduled to arrive on November 6th. The most beautiful of all tropical flowering plants is the Hibiscus. They love full sun and are the perfect plant for your patio. They like moist well-drained soil and prefer an acidic fertilizer like Miracle-Gro Miracid. 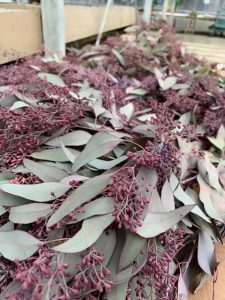 They’re perfect in a pot or even planted in your landscape for the season. However, they are not winter hardy here except for the ‘zone 4’ perennial hibiscus we carry. We have a wonderful assortment of colors and sizes right now and they range from $9.99 to $26.99. These terrific patio size fountains are made in the USA by Massarelli. They are just the right size, are carefully crafted in concrete, feature LED lighting in the water stream, are extremely easy to set up, and come in several colors and styles. Pricing starts at $199.99. In addition, we offer a great selection of other Massarelli fountains and statuary. Stop in to check it all out.